We hear that good things happen, too, and they happen in West Ealing, maybe in your street, or near you, or even in your house. We thought we’d put together an antidote for all of this gloom and collect what happens that’s good in West Ealing for the duration of 150 days (five months) from February 14th (cheesy, we know, but at least we’re not selling heart-shaped chocolate or satiny cards). The project is partly inspired by some work by US social scientist Robert Putnam, and his great book ‘Bowling Alone’ (maybe worth a Google). It’s all about social capital – those little acts of community that make us stronger, and happier, together. But mainly it’s about us, here, now in West Ealing – and we need you to help us. So watch out for blog posts and invitations from February 14 onwards to join in in any way you like – with videos, pictures, essays or one-liners – so long as it’s true and observed in or near West Ealing and something that makes you feel good about living here. There will be categories/suggestions/examples to inspire you! Who knows? West Ealing could turn out to be the happiest town in the city. 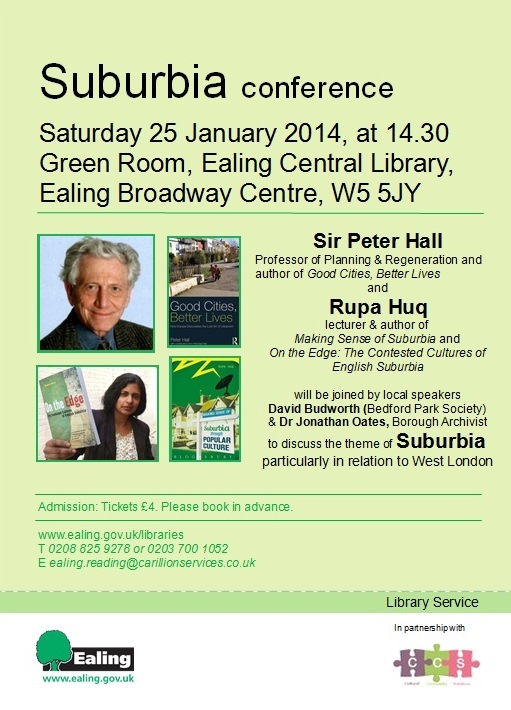 Want to help improve your neighbourhood? 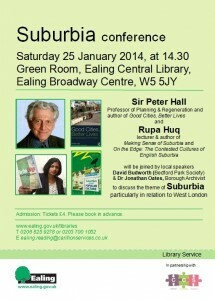 Ealing Council are looking to work with volunteers known as Neighbourhood Champions. As a Neighbourhood Champion Ealing Council aims to provide you with proactive volunteering opportunities which help to deliver projects to improve your local neighbourhood. Whether you are interested in planting trees and the welfare of your local street trees or you are a regular park user who can report on matters related to green spaces, we welcome your interest and engagement. 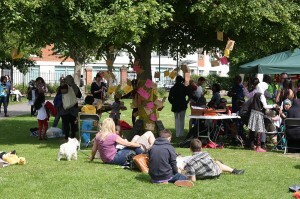 Our aim is to create a network of communities that can help neighbourhoods thrive. We provide a robust reporting system which allows you to use a unique identification number to report environmental issues. This can include fly-tipping, graffiti, lack of street cleansing, missed refuse collections and matters related to the Highway. On February 8th we are going to be extending the fruit orchard planted two years ago with more fruit trees and fruiting hedges. This project will take place that morning in Ravenor Park, Greenford and we are looking for volunteers to assist us with planting. All equipment etc. will be supplied by us. In previous years all volunteers have enjoyed a morning of camaraderie and volunteers come from all walks of life. It is envisaged that we will being asking you to work with us for about two and a half hours 10.00 to 12.30. Will we get more flights over West Ealing? John Stewart of HACAN (Heathrow Association for the Control of Aircraft Noise) spoke at Hanwell Community Forum this week. He outlined the many and various changes that are likely to subject Ealing to more noise and air pollution from Heathrow. – the interim report of the Airports Commission outlined 3 options for expanding airport capacity: two possible sites for a new runway at Heathrow and one at Gatwick. It is widely rumoured that Heathrow is the favoured option. There will be a major campaign against Heathrow expansion over the coming 18 months. The Airports Commission submits its final report in summer 2015 but the final decision about expansion will remain with the Government of the day. – a government consultation on night flights wanting to continue the current regime whereby flights can take off till 11.30pm and beyond. The hints at improvement given early last year have not materialised despite increasing evidence linking aircraft noise to coronary heart disease and other illness. – a proposal by Heathrow to remove westerly preference. Planes usually land into the wind. As the prevailing wind is westerly, this means Heathrow planes land over Hounslow and take-off over Windsor. The westerly preference rule means that this pattern is preserved for easterly winds with a speed of up to 5 knots so only strong easterly winds result in Ealing being overflown. If Heathrow’s proposal is accepted, the number of days on which Ealing is overflown will increase. – Heathrow also intends to test out whether easterly preference should be exercised for night flights.This would mean that planes fly over Ealing when there is an easterly wind (as now) and when there is a light westerly wind. As above, this would increase the number of nights that planes fly over Ealing. After weeks of inactivity the new scaffolders are on site this morning. The site has had a stop-start history and let’s hope this time the work continues. Work stopped a few weeks ago when the scaffolding had to be taken down as , presumably, it was not put up properly. Let’s hope this time work on the new hotel on the corner of Melbourne Ave and the Uxbridge Road cracks on and we actually see signs of a building going up. The rules governing flights at night for Heathrow, Gatwick and Stansted are up for review. For Heathrow, community and environmental groups have been pushing for a ban on night flights between 11pm – 7am. However, the government is recommending that there should be no change to the current rules until 2017 when the final recommendations of the Airport Commission are known. Keeping the current rules would mean that West Ealing will continue to be overflown until 11.30pm and beyond. The government does not want improvements to the night flights regime despite there being an increasing body of evidence pointing to the ill effects of aircraft noise on health. Indeed, the government is also requesting views on increasing night flights if planes become quieter. The deadline for responses is 31 January 2014.